Want to Avoid a Pedestrian Accident in San Francisco? >> Want to Avoid a Pedestrian Accident in San Francisco? The number of fatal pedestrian accidents in San Francisco has stayed steady at 31 for the past two years. That’s not encouraging news. Unfortunately it looks like 2016 isn’t going to see any significant decrease. There have already been 15 fatal pedestrian fatalities in San Francisco this year. But what about all of the pedestrian safety improvements the city has earmarked millions of dollars for? Unfortunately, many of last year’s most dangerous streets in San Francisco can still claim that title. So, take it from a San Francisco pedestrian accident lawyer, if you want to stay safe as you walk to work, walk the dog, or just stroll to the corner market . . .
Stay Away from These San Francisco Streets! This street remains among the most dangerous in the city partially because it is home to the most dangerous intersection in San Francisco. Here Van Ness, Otis, and Mission Streets all converge in a sort of automobile free-for-all with pedestrians and cyclists squeezing through as best they can. While the city doesn’t currently have any concrete plans to revamp this stretch of Van Ness, it has begun a community outreach program to gauge what residents would like to see in a reimagined Van Ness. The Market Street Hub Project intends to create a “vibrant new mixed-use neighborhood” while decreasing traffic flow and improving pedestrian safety. The plan would eventually increase the total “public realm” of The Hub neighborhood with bike facilities, shared streets, living alleys, parklets and more. But for now pedestrians beware! Pretty much anywhere along this overcrowded thoroughfare is dangerous but the stretch between Ellis and Polk is the worst. (This is where our office is located - at 25 Taylor Street.) With over 192 injuries per mile (according to an analysis of San Francisco’s interactive High Injury Corridor Map) it remains one of the most dangerous streets in San Francisco. Thankfully the city has taken notice of the problems along Market Street—ironically---because of its overcrowding. They’ve created multiple plans to reengineer stretches of Market with a focus on cyclists and pedestrians. Improvements already in place include bike lanes, pedestrian safe zones, and light timing changes. Plans for the future include additional safe zones, further decreased traffic flow, bulb-outs, and “daylighting” (decreasing on-street parking). The Better Market Street Plan (just one of many) is set to break ground in 2019. At its completion Market Street may be nearly unrecognizable within the next ten years. Hopefully it will be safer as well. I certainly hope my personal injury law office is still on Market street, because I love it! A number of high-profile accidents along Masonic Avenue spurred one of the largest reengineering projects in San Francisco’s recent history. The SFMTA overwhelmingly approved the $18 million Masonic Avenue Streetscape Improvement Project in 2010. Pushed through, in part, by the death of a young cyclist who had arrived in San Francisco just one day prior, the project looked as if it had enough momentum to carry through. However, red tape and one unexpected delay after another have prevented any work from being done. Masonic Avenue remains as deadly and dangerous as it was five years ago. In fact, Supervisor Eric Mar recently called Masonic Avenue “a deathtrap.” Just recently the start date for the work was pushed back from 2015 to 2016 while we watch and wait. It looks as though this project is finally set to launch soon, and I am VERY excited about it, as this route is crucial to my bike commute to the Mission and Castro neighborhoods. 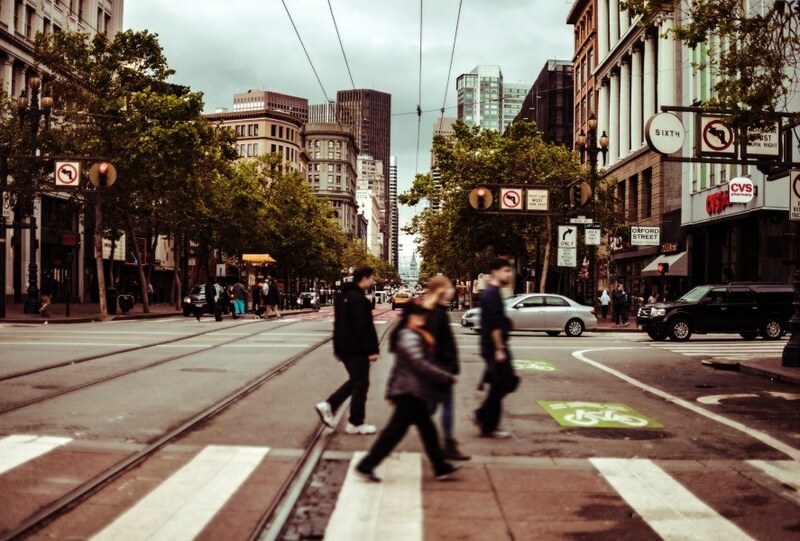 Were You Injured in a Pedestrian Accident in San Francisco? While money won’t solve every problem, having a financial cushion on which to fall back when you’ve been injured can help your recovery go much more smoothly. As an accident attorney in San Francisco I’ve helped many clients seek compensation for injuries they suffered at the hands of negligent drivers. To find out if you have a potential case quickly and easily, fill out this short form for a free case evaluation with one of our experienced pedestrian accident lawyers in San Francisco.